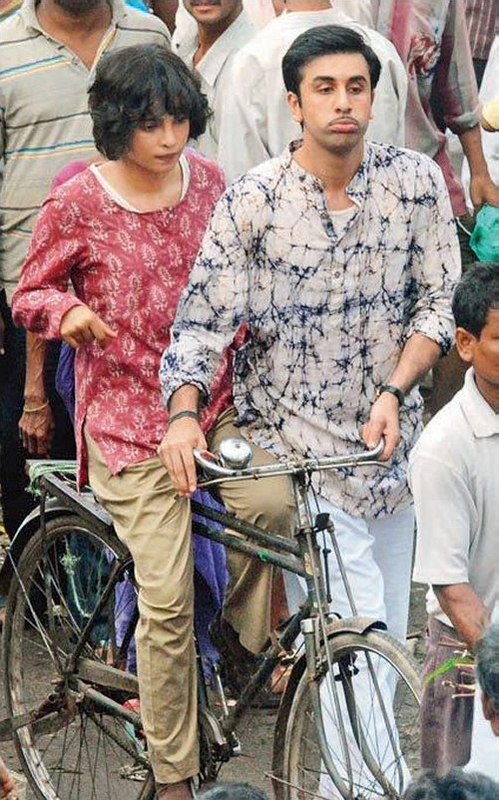 More on Priyanka and Ranbir in Barfii! One of the films we definitely have our eyes on is the Anurag Basu directed Barfii starring Ranbir Kapoor and Priyanka Chopra. 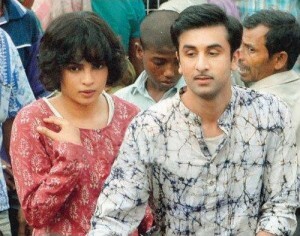 With an intriguing description of a romantic murder mystery, the film, which is currently in production, is even more on our radar because Ranbir Kapoor plays a deaf mute and Priyanka Chopra’s character is an autistic woman. What happens and who Ileana D’Cruz’s character is… Well, we won’t find out until next year when the film releases. Playing this character has been challenging and even some days scary, “Getting into the deep dark world of my character gives me the jitters although Anurag and Ranbir have always helped me get my cues and scenes right. Sometimes, I’m just so scared to go on the sets because I turn into someone who is difficult to relate to in a normal situation. I’ve to get into the person’s psyche and act in such a way that I don’t look as if I went overboard or simply overacted,” she explained. As for Ranbir’s character, it is also very challenging since he is mute and has to communicate without saying long lines of dialog. However, that does not mean we will not hear Ranbir’s voice, “If you’ve interacted with mute people, you’d know they are not entirely quiet. They make these sounds in place of using proper words. And those sounds convey the entire emotional verbal impact of their thought processes. For a normal actor to ‘speak’ in that guttural tone is not easy,” explained Basu in an interview. You can be sure we will be bringing you all the news about this intriguing film! If you have not seen them yet be sure to check out our exclusive videos from the set and stay tuned for much more only on BollySpice.com!